Very nice image of commuters exiting a rail station in…go ahead and guess the city. The answer is after the jump. 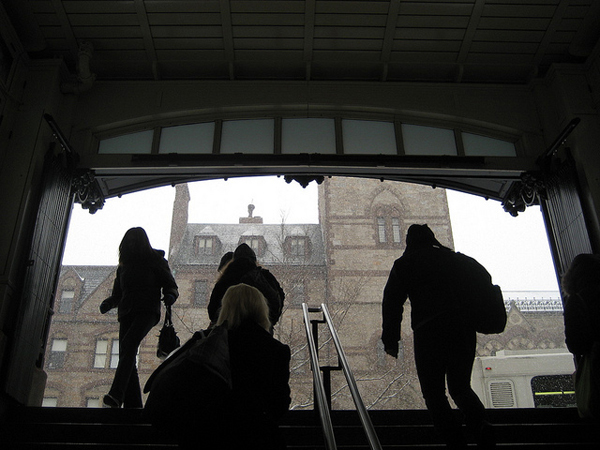 The photo shows one of the portals to the Green Line T station in Copley Square in Boston on a recent snowy day. I guessed Cambridge Mass. Close but no cigar!